Bumbling and breaking your business isn’t something most franchisors would like to think about. It’s certainly not something you’d want hanging over your head in the early days of your franchise journey. But whether you like it or not, that’s just when you should worry the most as the errors you make when starting out may provide the biggest headaches down the line. 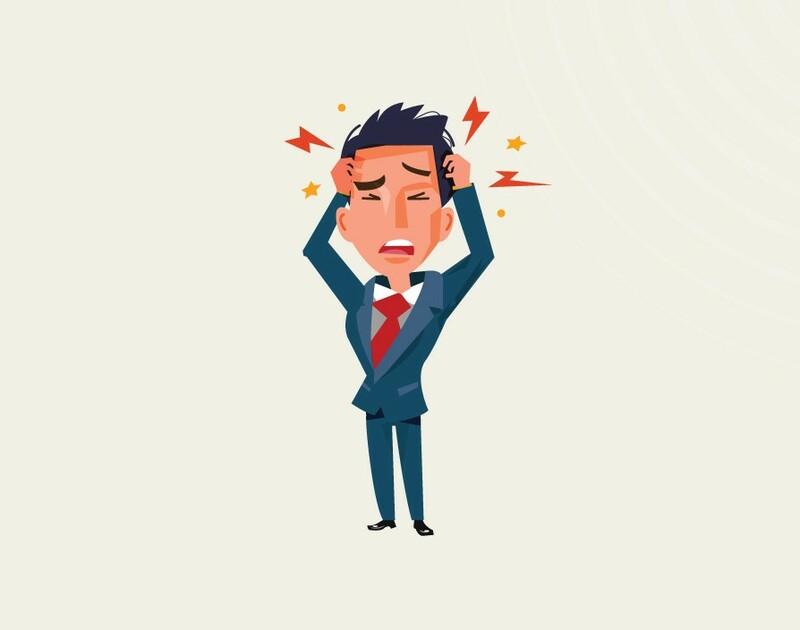 Luckily for you, we’ve found out how you can treat some of the more manageable mistakes causing migraines for new franchisors. Sharing may be caring but so are contracts regulating relationships. Everything may seem crystal clear when you and your partners start the business with company shares divided equally as you focus on getting off the launchpad. However, neglecting to write up a shareholders’ agreement could cause you a world of hurt later on. “The biggest mistake is not getting them in place before the company has value,” says Tracy Dickens, partner and head of the commercial and corporate finance team at Birkett Long, the law firm. The longer you rest on your laurels, the bigger the challenge of establishing a contract will be. And you can’t wait until you think you need them because that’s usually when there’s conflict between the partners. “Putting suitable protections in place at that time is very difficult since the wayward shareholder will often refuse to sign up to anything that could result in his removal from the company,” says Dickens. Remember, there’s no time like the present. If your franchisees are going to make some serious gains then you better put them on a tight training regime. No, we’re not talking dumbbells and skipping ropes but ensuring they’ve got the business chops required to make their franchise a success. “Franchisees that don’t have the necessary skills can cause disruption in a franchise network and require a disproportionate amount of the franchisor’s time,” says Dickens. Luckily, franchisors can easily remedy this by ensuring aspiring franchisees are properly trained before joining the business and deny entry if they fail it. Once you’ve bulked up their skills, you can rest assured your network will be stronger than ever. You’ve got the money, right? We shouldn’t need to tell you launching a franchise requires some serious bucks. However, you may need to tell your aspiring franchisees that. “[It’s] important to ensure franchisees have the necessary capital requirements to support the new franchise during the startup phase,” says Dickens. “Too often a franchisor will relax requirements just to get a franchisee on board, which can lead to slower development of the franchise.” So make sure their cheques won’t bounce. You’ve all heard the saying that every business is a people’s business. Well, the reason it’s become almost a cliché is because there’s truth behind it. Not only does your franchise thrive or fail depending on your employees but how you treat them will ensure your retention and recruitment levels remain high. “Employees are an asset to be looked after and cared for,” says Rachael Brown, associate solicitor at Howells Solicitors. This means being serious about health and safety, cracking down on any form of discrimination, paying at least the national minimum wage and to making sure yours is a fun company to work for. For that last point, we’re slightly partial to champagne Fridays. Whether you’re talking about boyfriends and girlfriends or employers and employees, an important part of any relationship is to clearly define it. For franchisors, that means getting employment contracts right off the bat. However, this isn’t as easy as it might seem after a quick google. “New businesses may be tempted to download contracts of employment from the internet but these documents may not always be tailored to individual business needs and may not contain details of recent employment law changes,” says Jane Crosby, partner at Hart Brown, the law firm. “Ensure you have properly drafted employment contracts in place that don’t cause problems later on and seek advice on their implementation.” Have the talk and sign the dotted line. Sooner or later you may hire a contractor to design your logo or work on some vital coding for your business model. But if they do, remember to write a contract and don’t trust their good word that you’ll own the copyright for it. “IP (intellectual property) ownership can only be granted or transferred in writing,” says Holden. “As such, if your freelance coder or developer has no contract with your business then they could actually own the IP that they have helped design, not you.” This means the freelancer could potentially sell their work to one of your competitors or hold it ransom if there’s ever a dispute between the two of you. The solution, of course, is to put pen to paper. We know you’ve been nagged to death about the General Data Protection Regulation (GDPR) lately. However, being sloppy with information can be the kiss of death for your franchisor. “While it’s often overlooked as an organisational priority, the mismanagement of important documents – whether stored physically or electronically – can lead to severe legal consequences for your business,” warns Paul Ravey, sales manager at Access Records Management, the document management company. Not only could it cause you some serious reputational damage if clients find out that you’re botching the safekeeping of their data but breaching GDPR could cost a business up to $20m or 4% of its global turnover, whichever is greater. And that’s a bill no fledging franchisors would like to foot.